The Copenhagen Business School is happy to announce PhD scholarship in Nordic identities between globalism and national identity for three years. Scholarships are awarded to international students. Course Level: Scholarship is available to pursue PhD programs. Study Subject: Scholarship is awarded in Nordic identities between globalism and national identity. Scholarship Award: A PhD scholarship runs for a period of 3 years, and includes teaching obligations equivalent of ½ year’s work (840 work hours). The scholarships are fully salaried positions, according to the national Danish collective agreement. The scholarship includes the tuition fees, office space, travel grants plus a salary, currently starting with per month app. DKK 23.770 (app. 3,160 euro) up to DKK 28.964 (app. 3,860 euro) depending on seniority, plus a pension contribution totaling 17,1 % of 85 percent of the base salary. Nationality: Scholarships are awarded to international students. 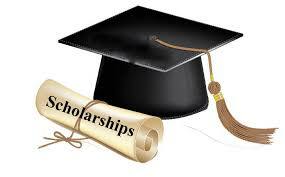 Eligible Countries: Scholarships are awarded to international students. English Language Requirements: The applicants must be fluent in English. A project description (5 pages): This research proposal should contain a presentation of an original research question, a description of the initial theoretical framework and methodology, a presentation of the suggested empirical material as well as a work-plan in form of a Gantt Chart, and finally a very brief outline of how the project would fit in with the core areas of the department.